When we include numbers in our child’s environment we’re helping them to get familiar with math concepts in a relaxed and playful way. We can add these fish to sensory tubs and imaginary play games, and also use them in a more structured way to introduce math ideas and number sense in a fun, hands-on approach. 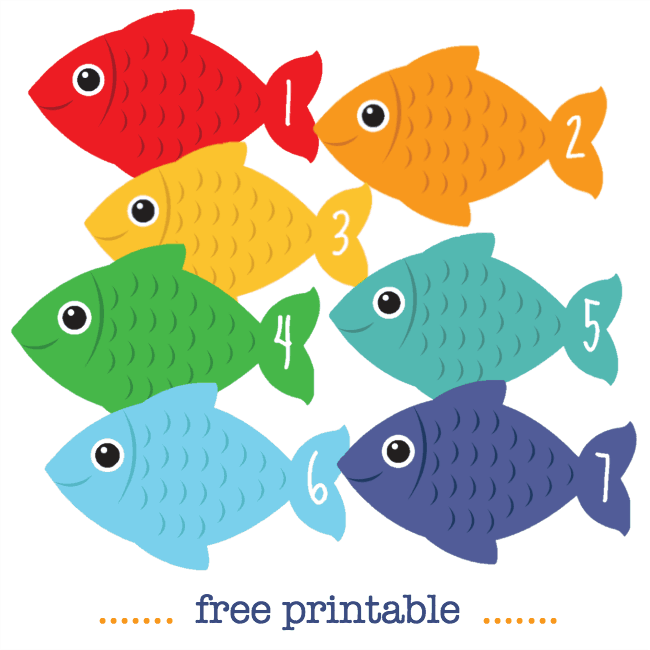 Print your number fish onto card, cut them out, and play. You can laminate them for extra durability if you like. :: Use them to make a number line. Head here to see how to use a number line for math learning. :: Use the number fish to play matching games. Print two sets and see if you can match up the pairs of numbers. :: Place two sets of the counting fish face down and use them to play Memory. 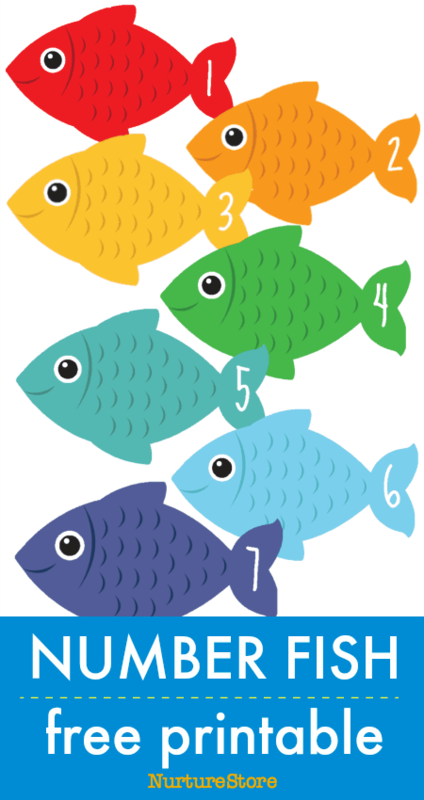 :: Hide the number fish around the house or garden and see if your children can swim around and find them all and place them in numerical order, from small to big, and from big to small. :: Hide the number fish in a sensory tub and use them in imaginary play. Add counting cards in with your pretend play makes for a number-rich environment which supports children to recognise, be confident with, and use numbers. :: laminate the counting fish and add them to you water tub. Use nets to see which number fish you can catch. :: add a metal paperclip to the nose of each fish and use a fishing rod with a magnet on to catch them. Say, count, order, and add up the fish as you catch them. :: set out the fish with blue playdough to create an ocean full of numbers.